How to rate an app on Google Apps Marketplace? It has become kind of tricky to rate apps on Google Apps Marketplace. And even more complicated to let a review. This is a tutorial to show you how to do it. We are going to take the example of vyte.in app, the scheduling app we developed. But it is the same process for any app on Google Apps Marketplace. First thing to do is to log into your Google enterprise account. 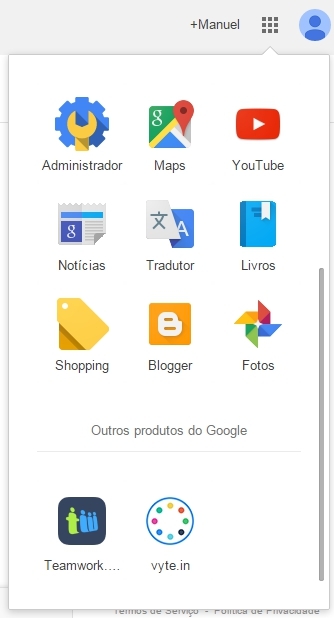 From Gmail or from whatever Google service, go on the top right corner and click on the Google App Launcher. Then click on “more” to display more apps than the basic ones. 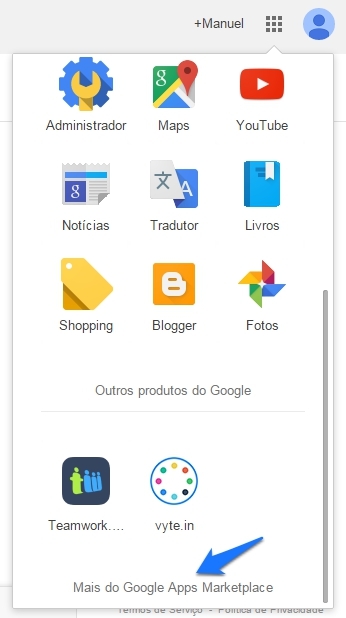 In the end of the list, you can see other Google apps (the one that you already installed from Google Apps Marketplace). 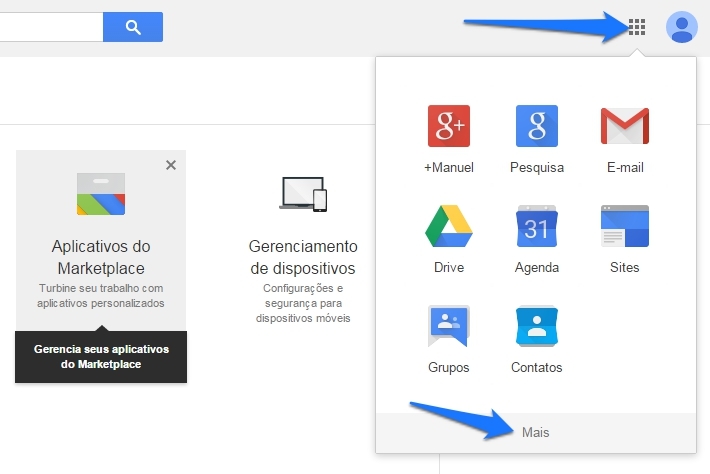 Drop-down, you can find a link to access Google Marketplace. Now, you understand why I said it was tricky! 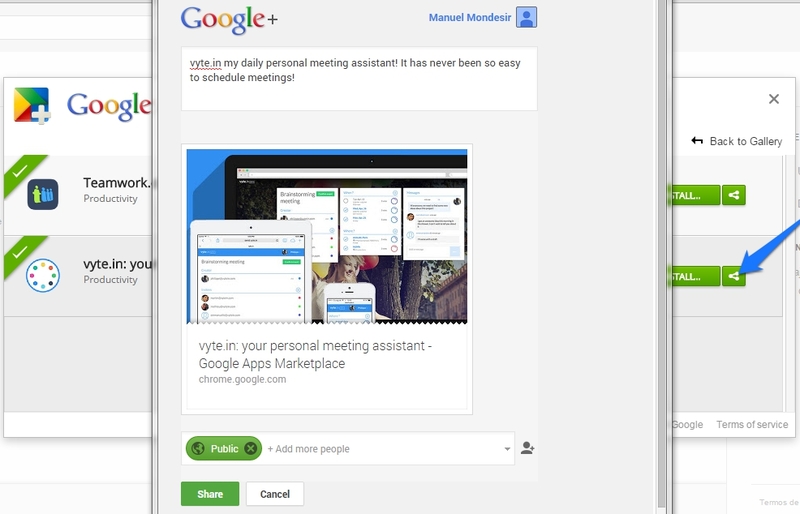 After clicking on link, you are displayed a pop-up window with Google Apps Marketplace in which you can search for apps. For example, if you want to install and rate vyte.in, just type it in the search box. If you already installed the app you want to rate, just click on “Manage your Apps”. Then, you can easily set ratings and share a comment about it. Voila! By the way, if you don’t know vyte.in, take the opportunity to install it! You will love it. It’s a free personal meeting assistant that helps you schedule meetings easily with friends or co-workers.